Le premier centre du Canada pour l'analyse et le débat sur les affaires internationales. On January 22, France and Germany signed the Treaty of Aachen, a document designed to reaffirm their friendship and enhance co-operation in areas such as foreign policy, defense, trade, cross-border mobility, and research. The ceremony, in the historic coronation hall of the German city, took place 56 years after the signing of the Elysée Treaty, a highly symbolic post-World War II accord aimed at transcending centuries of enmity between the two countries. Aachen was not chosen as the venue by coincidence. The city, known in French as Aix-la-Chapelle, was the capital of the Franconian King Charlemagne, often called the “father of Europe,” whose empire covered large parts of what later became the European Union’s six founding countries, including France and Germany. The signing of this treaty comes as the UK prepares — so far, chaotically — to leave the EU, challenging the long-held common-sense assumption that EU integration would always progress forward. It also arrives as the post-1945 multilateral world order faces attacks on multiple fronts. Yet, the ambitious declarations surrounding the signing of the treaty contrast with a more complicated reality concerning both the French–German alliance and the future of the EU. While Merkel and Macron might see themselves as allies against those threatening the liberal world order, they continue to disagree on key issues concerning European integration. For instance, Macron’s ambitious Euro-area policies were watered down after Berlin expressed concern and scepticism. Furthermore, at present both Angela Merkel and Emmanuel Macron face serious domestic difficulties, and have limited political capital for launching bold initiatives. It is not surprising, in this context, to see that the actual provisions of the new treaty are more modest than the rhetoric surrounding it. For instance, the accord sets out several policy areas where France and Germany want to intensify co-operation, but migration — a key issue in the upcoming European election for far-right, nationalist parties — was not one of them. The document focuses on closer governmental coordination and states that Germany and France will deepen their co-operation on foreign policy, defense, external and internal security, and development issues, while strengthening “Europe’s capacity to act autonomously.” However, it is not clear if those commitments will translate into tangible progress, going beyond what is already common practice between Paris and Berlin. Revealingly, the treaty has little concrete to say about contentious issues facing Europe, such as social fractures and environmental challenges. What is perhaps more surprising, given the modest provisions of the treaty, is the degree of opposition it has generated, both in the signatory countries and in other EU member states. The treaty has been heavily criticized by far-right opponents in both France and Germany. Marine Le Pen, leader of France’s National Rally party, accused Macron of “an act that borders on treason,” and Alexander Gauland, representing Germany’s far-right Alternative for Germany (AfD) party, claimed Paris and Berlin were seeking to create a “super EU” within the European Union. Further afield, Italy’s right-wing Interior Minister Matteo Salvini insisted, “It is time to oppose the Franco-German axis with an Italian-Polish axis.” He was speaking on a visit to Poland, aiming to challenge France and Germany’s dominance in the EU with a Eurosceptic alliance. More broadly, the Visegrad group, made up of the Czech Republic, Slovakia, Hungary, and Poland, have been increasingly vocal in opposing further EU integration, particularly but not exclusively in the field of migration. In this context, France and Germany simply cannot afford to rest on their laurels, or assume that the new treaty will resolve the difficult issues facing the EU. This is not to say that the reaffirmation of the French–German friendship and shared commitment to the European integration project is without importance. In an era marked by growing tensions within Europe and considerable opposition to the foundational values of the EU, it has become necessary to remind Europeans, as the new treaty does, that reconciling these two great continental powers was a key achievement of the second half of the 20th century. The ensuing partnership was a foundational pillar in the construction of the EU, which, for all its difficulties and limitations, helped bring unprecedented peace, security, and prosperity to Europe. 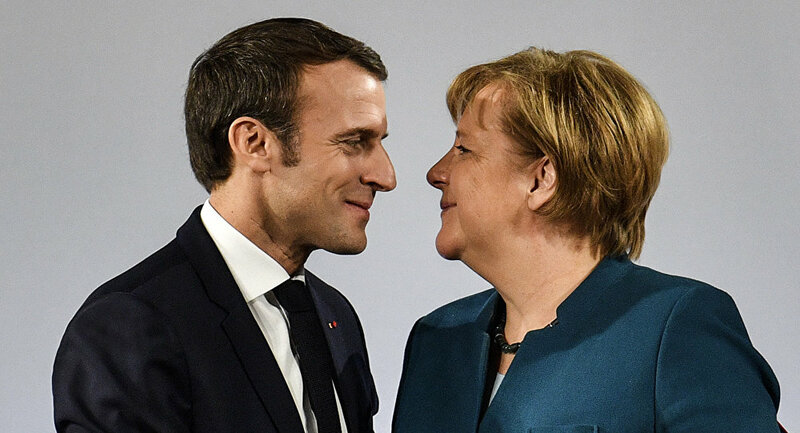 By reaffirming their partnership, France and Germany are not seeking to dominate the rest of Europe, as the right-wing nationalists suggest, but to protect those gains in the face of a dangerous pan-European upsurge in virulent nationalism and xenophobia, and to counter the influence exercised by divisive right-wing demagogues. Paris and Berlin are also attempting to mitigate the damaging effects of the loss of Britain as an active partner in that ongoing struggle. It is also the case that without French and German support, not much can happen in European integration. For all these reasons, the Aachen Treaty should not be derided or dismissed as irrelevant. At the same time, however, Paris and Berlin will need to be much bolder in their vision and concrete actions, and will have to find a way to gain the trust and support of many more Europeans, if they are to protect the EU in the coming years. In particular, the confrontation between liberal, pro-EU forces and the “axis” of nationalist, right-wing Eurosceptics is set to intensify in the coming months, particularly in the context of the upcoming elections to the European Parliament. 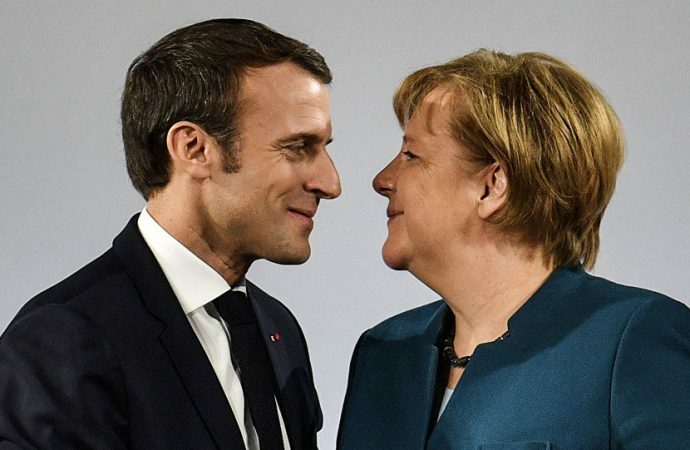 With Merkel on her way out from the Berlin chancellery and Macron’s low approval ratings and continued confrontations at home, it remains to be seen whether the two leaders can re-energize European integration and inspire new confidence in the European project. Le blogue du CÉPI est écrit par des spécialistes en la matière. Veuillez cliquer ici pour voir la liste des auteurs. Pas de courrier indésirable. Seul le contenu authentique. © 2015 Centre d'études en politiques internationales. Tous droit réservés. Avis de non-responsabilité.